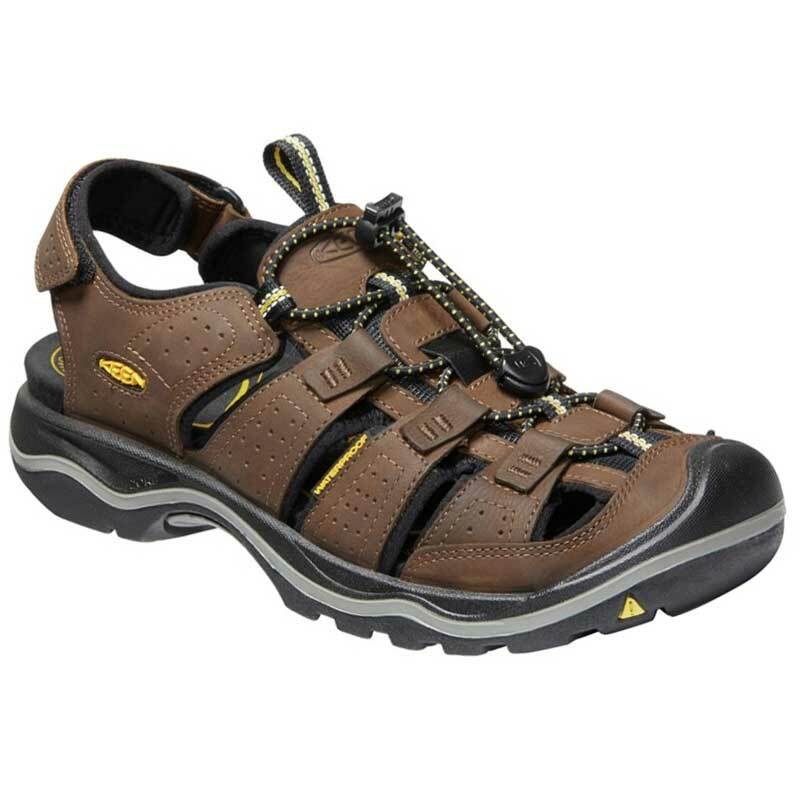 The durability you love in the Keen now carries into summer with the Rialto II sandals. These men’s sandals have a water resistant leather upper with a secure fit lace system to ensure a snug fit. Keen’s Cleansport NXT™ provides natural odor control and the hydrophobic mesh linings wick away moisture for a comfortable feel on a bare foot. The molded PU foam footbed is removable to accommodate custom orthotics, but if you want to keep it in the shoe, it features a metatarsal ridge for natural underfoot support. The direct attach PU midsole offers more support than most sandals and the durable non-marking outsole ensures traction even on rugged terrain. When it comes to durability and comfort, the Rialto II is top of the line so don’t settle for anything less this summer.